Attention grabbing headlines characterise the campaigns for both the “Leave” and “Remain” arguments surrounding Britain’s membership of the European Union. David Cameron and Boris Johnson are facing off in a divided Tory party while Nigel Farage lands rhetorical body blows pertaining to the UK’s lack of autonomy. Reasons to Remain are summarised with “More jobs, more stability” while Leave gets the “make Britain great again” treatment. The mainstream UK press rarely mentions a very real reason we should vote to remain. For the last decade, European Union digital lawmaking madness has been secreting from the Brussels decision making gland, which, on the face of it, threatens UK sovereignty. On the other hand, Britain has acted as a parental chaperone on digital policy, negotiating better terms, getting clarification on said policy and calling on our MEPs to represent our interests. We’re better off “in” because it grants us a mitigating voice on issues bedeviling small to medium businesses… but the small ones in particular. 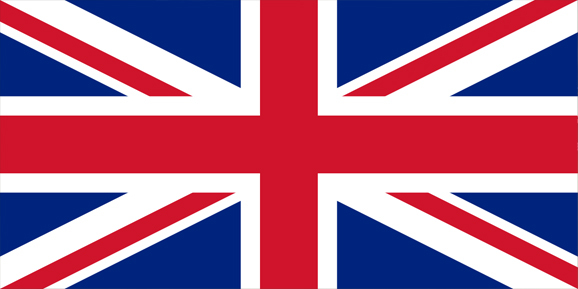 The UK will still need comply with laws to sell in Europe even if we are not a “member state”. The EU wanted to put a tax on hyperlinks – a cack-handed approach to piracy and copyright. The EU introduced the cookie notification law – a nuisance to web users and web developers everywhere. The corporate EU VAT system was introduced for digital downloads – the apex of the regulations and killer of business. Let’s look at that last one – the new system of VAT collection. What the Hell is EU VAT? Under the European VAT regime, a seller now pays the local rate of VAT on digital downloads to the tax authority of the country the buyer is based in. It used to be that a business in the UK would pay HMRC 20% but this system has been abused by big businesses. Typical. A business organising their accounting affairs by establishing elsewhere in Europe to get a better deal for themselves is not illegal, but it means there’s money on the table the tax authorities would like to see. 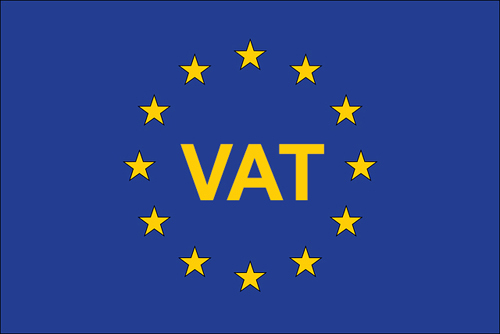 EU VAT is designed to stop the Amazons and Googles of the world circumventing higher VAT rates by running their operations in low VAT thresholds. A corporation could have previously set up shop in Luxembourg in order to pay the lowest rate of VAT in Europe, but now, under new tax laws, must calculate and pay the correct rate to whichever tax jurisdiction the customer is in. It’s the place of purchase versus the place of supply. To supposedly make life easier, the EU created a Mini One Stop Shop (MOSS) as a single portal for all tax collections. But this means an already busy business has to submit quarterly tax returns to HMRC, who will then send the relevant information to the countries where trade has taken place on the business owner’s behalf. This applies to B2C not B2B. @SmallBizGeekUK AKA someone to butter the self-employed up for four additional tax returns per year. Additional tax admin is fine for a corporation, but not for self employed individuals, small businesses and micro businesses. What is needed for small biz is an exemption, and we’ll get to that part of the article soon. If you can, watch the video below. You’ll gain some understanding of what exactly has been happening with digital law, and why, crucially, Britain has positively affected change by calling for revisions to policy. When small business owners discovered the EU VAT corporate tax system in December 2014 – due for implementation on January 1st 2015 – many of us concluded we would spend more money redesigning our businesses to comply with the expensive admin needed to sell digital download items in Europe. Vendors of apps, subscriptions, courses, videos, etc face a large unjustified capital outlay. A group of UK business owners got together and formed the EU VAT Action Group in an attempt to educate the government as to why the EU’s digital laws will and have put businesses OUT of business. Because bureaucrats don’t understand the digital industry, it was entirely necessary for the campaign group to seriously push for the revisions so desperately needed. Economic taxonomies haven’t been updated since 2003, meaning web designers and web developers have to choose “other” under official industry classifications. The worst part is that bureaucratic irritations like these become a full time job in their own right. Naturally, the internet buzzed with indignation. Social media blew up. The Twitter hashtag #EUVAT came out in force. How can we abide the suffocation of business at the hands of the EU? How can a business be conceived, birthed and grown to fruition when the costings tell us to abort? Why should we spend unacceptable amounts of time and money restructuring our businesses just to avoid breaking a law implemented at the wrong level? Amazingly, the EU VAT Action Group got consultative status at the highest levels of government. Meetings with Prime Minister David Cameron resulted in a public challenge to Jean-Claude Juncker, president of the European Commission over a sensible VAT threshold for micro businesses. Long-term: to work at a global level to ensure that the other countries who are bringing in similar place of supply VAT legislation learn from the experiences we are having in the EU and avoid repeating the same mistakes. 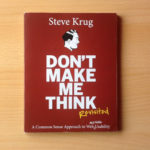 An earnings threshold was put in place so that micro businesses selling eBooks, knitting patterns and other low value digital goods would not be entangled with the VAT MOSS system fondly referred to as VAT MESS by sarcastic business owners. And now, the EU are holding a public consultation on the cookie law. They are listening, but the survey closes in July 2016 if you want to have your say. These tax wranglings might not affect your business if you’re not VAT registered. It won’t affect you if you serve other businesses (B2B). But what if you’re serving other businesses who serve a consumer market? I’m a sole trader, working with businesses who are often registered for VAT, serving consumer markets and sometimes selling digital goods via an eCommerce system. Many businesses are still not aware of EU digital laws. In some cases, people switch themselves off the moment these issues arise. A local eCommerce provider (and competitor to myself) have no clue about EU digital laws and have no intention of fulfilling their obligations. They’re playing the ignorance card while merrily building websites for clients with zero knowledge of the potential consequences. If you’re in a position where you could and should know something, it’s your duty to find out and follow up. I’m “In” – How About You? If we were not part of the EU, the action group who affected positive changes in their own time at their own expense would not have had the right to make their case at all. Whether you sell digital goods or not, they fought on your behalf and made the EU a better place to trade in. The European Community was always supposed to be a trading zone that didn’t discriminate, but look at what is happening. We can do more from the inside over a period of time. I’d like to suggest we adopt the phrase European U-Turn, because it is incredible that Brussels have actually responded to the lobbying. If we leave, the MOSS system under HMRC will disappear and UK businesses will need to register under a different MOSS system in an EU member state – probably Ireland – because it is English speaking, however the Euro currency will complicate matters. My decision at the polling station on 23rd June will be a considered, logical one rooted in sensible business and commerce for myself and everyone else in the country. We can’t dismantle the EU but we can change it together. Update 1st December 2016: The European Commission anounced plans to change VATMOSS! An earnings threshold is being introduced in 2018! It was a group of tired volunteers who had the initiative to speak up on behalf of small businesses and managed to make themselves heard. The least you can do is give Britain the continued authority to have a say in how a federal power legislates when they don’t necessarily have all the facts.